Sarasta Mayor Suzanne Atwell meets with the Young Playwrights group. 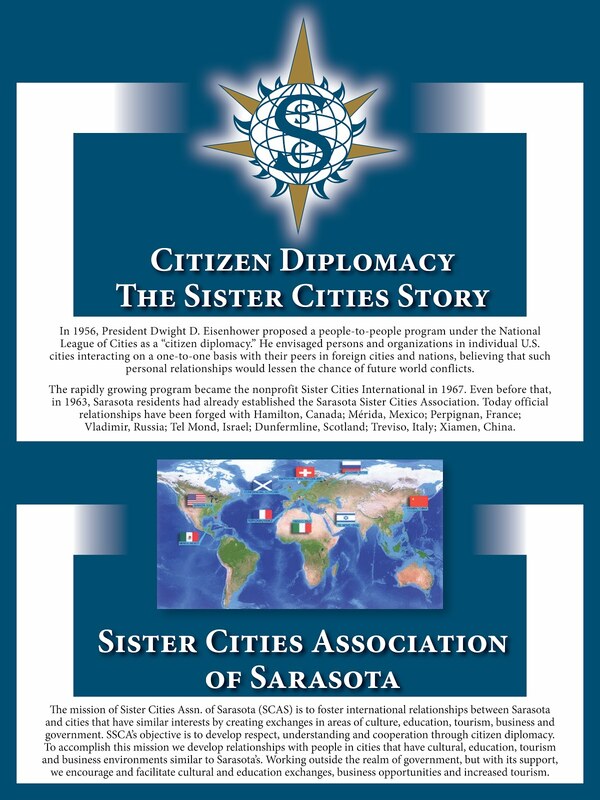 Sarasota Sister Cities viewed a number of plays written by students, including students from our Sister Cities of Tel Mond, Israel, Vladimir, Russia, and Dunfermline, Scotland. The young playwrights from Tel Mond and Dunfermline were in Sarasota and signed autographs. The cast and creative director provided outstanding performances. Aleksandra and Kara are from St Columba's High School, Scotland. Their teacher is Miss McDonald. They are in the eighth grade. The Play they wrote was entitled, "The Bonnie Old Visit at Sterling Castle". Ori Segov is from the Shelanu School, Tami Philosph, in Israel. He is in the sixth grade. His play was entitled "The Promise". 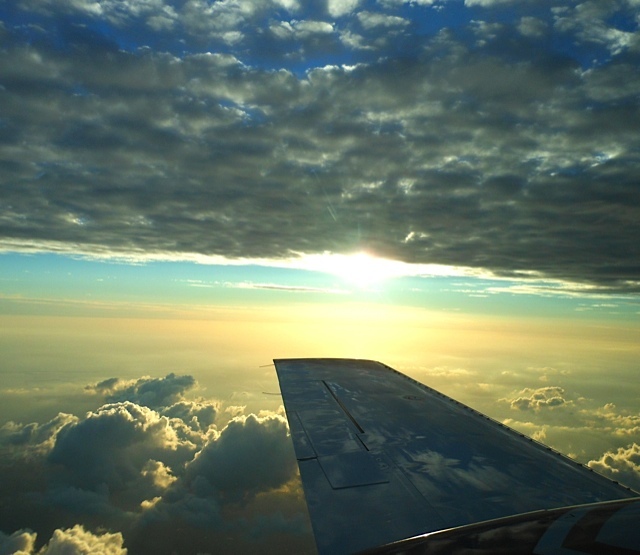 An Alliance Member may be a non-profit organization with which SSCA is involved through joint projects and/or with whom affiliation would support SSCA’s mission. The number of SSCA Alliance Members is not limited. Alliance Members are appointed by the SSCA Board of Directors and their membership can be terminated at any time at the discretion of that Board. Alliance Members are not required to pay dues, and their status is that of a non-voting member of SSCA. Any member of SSCA supported by a seconder may nominate an organization (hereinafter referred to as ‘organization’) for Alliance Membership. All nominations are to be in writing and submitted to the Vice President for Membership along with a written statement of the reasons why the nominator and seconder consider the nominee qualifies for Alliance Membership, and how the granting of Alliance Membership would be appropriate and mutually beneficial. The Vice President for Membership will be responsible for ensuring the regular updating of the name of the individual who is the point of contact in each Alliance Member’s organization. This is to be done no less frequently than once per year, a month prior to the deadline for publication of SSCA’s Membership Directory. At the annual general membership meeting the Vice President for Membership will provide an updated list of all Alliance Members, together with any recommendations for memberships which should be terminated, primarily because they have become inactive or are no longer appropriate. Most SCAS members are aware of the tragic death of Taian (Andrew) Tian, 51, manager of New Dynasty Restaurant on South Tamiami Trail. Tian, a member of our alliance organization the Gulfcoast Chinese American Association, died on July 19 as a result of injuries sustained in an attack by three men who left the restaurant without paying their bill. A member of the SUR-13 gang in Manatee County has been arrested and charged with manslaughter in the case. Because Tian had been at New Dynasty for eight years and enjoyed conversing with customers, many people in our community had come to know him as a kind, gentle, and generous man with an upbeat sense of humor. Tian held a degree in engineering and immigrated from China in the early ‘90s in order to offer his son a bright future in the U.S. The Gulfcoast Chinese American Association has been closely associated with our twinning with Xiamen, China, even before it became one of our eight sister cities. A memorial service celebrating Tian’s life will be held on Sunday, July 28 at 3 pm at the First Congregational United Church of Christ, 1031 S. Euclid Ave, Sarasota. 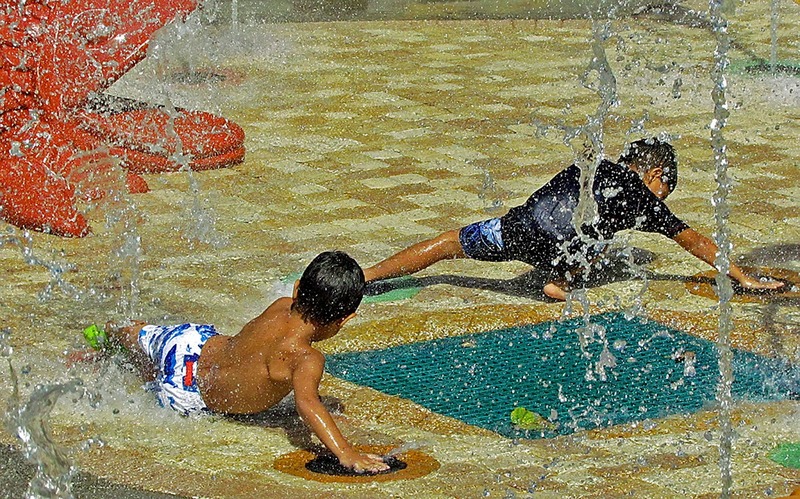 Our Sister Cities Social Marketing plan is on this blog. If there is interest I will conduct a class for our membership on how to use social marketing - blogs, Facebook, Twitter, LinkedIn, Google+, YouTube, Pinterest. Please let me know if anyone is interested. 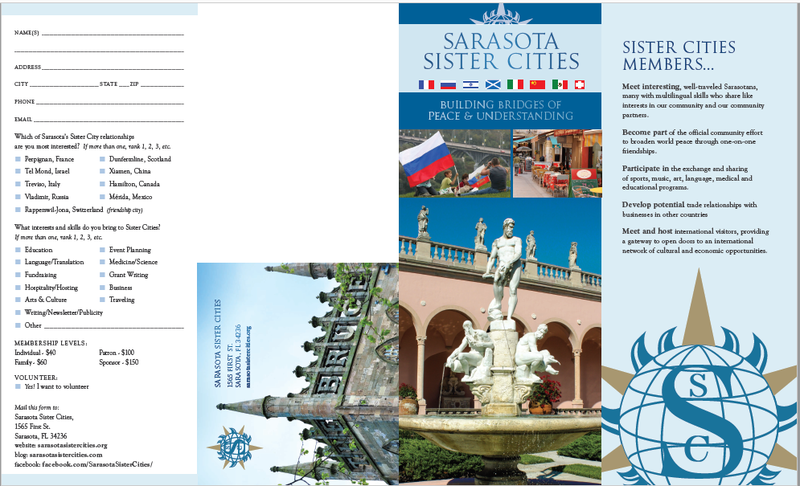 We attended the Sister Cities International Conference last week and attended several social marketing classes. 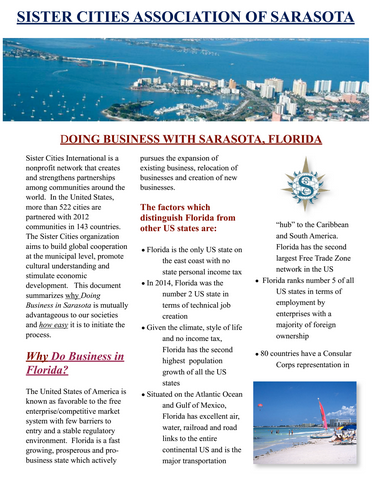 The International staff noted that Sarasota has an excellent social marketing program and asked us how we do it. We advised the group that it is not that difficult - learn to produce a blog or a Facebook page. Everyone acknowledges the difficulty in getting the media to cover our efforts - negative news is much more in demand. We went on the Sister City visit to Vladimir Russia. We have two blogs and photos published. You can see them on our blog in the top left column. We took photos of our group in front of beautiful Russian architectural structures, holding copies of Sarasota media. Hopefully they will print these photos. 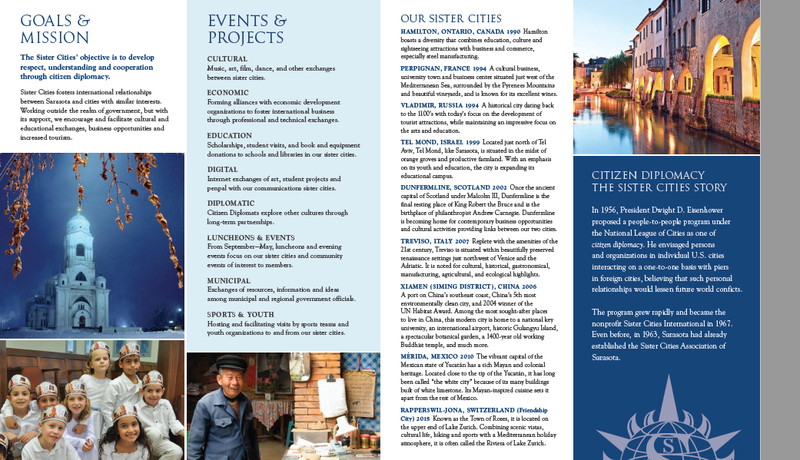 We encourage you to share photos and stories about your efforts with Sister Cities. Send them to me and I will post them to the blog and Picasa or Pinterest, or teach you how to do it if you prefer. Thank you for your review. Let me know if you have any concerns or questions. Saving trees / improving the environment with electronic communications. A fine time had by all at the Meet and Greet. Thanks to Gayle Maxey and Tom Halbert for their great work in setting up these great events. 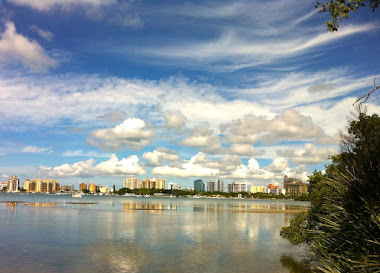 Caragiulos in Sarasota at 69 South Palm Avenue is the location of our July Meet & Greet. The happy hour venue will be the spacious bar with full cocktail, wine and beer specials. 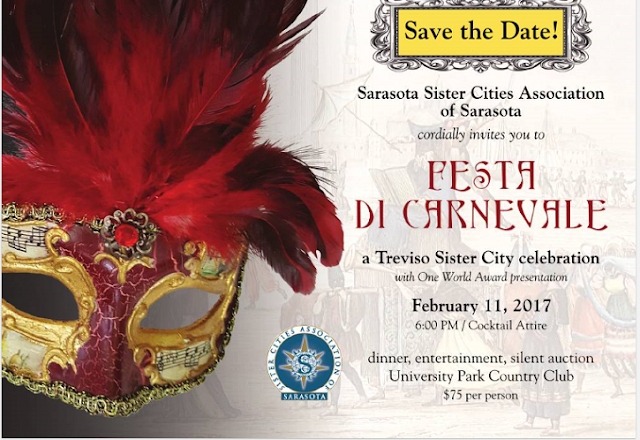 An added attraction for this event will be a Treviso martini in honor of Sister Cities of Sarasota 50th anniversary year! Caragiulos has bar, high rise and booth seating plus room to mingle in an attractive setting. Caragiulos became one of Sarasota’s most popular eateries in much the same way the family found the cozy storefront on Palm Avenue, with… ease. From his bakery in Brooklyn, Tony Caragiulos and his five sons came to Florida in pursuit of an agreeable location to open a simple Italian restaurant. After an exhausting, two week long car trek around Florida with no prospects and tempers flaring, Tony signaled for the car to pull over; “Stoppa the*#!*#!!!! car!,… This is it,” he declared, pointing to the vacant stucco location… And it was. Courtesy RSVP by June 16. This will allow Caragiulos to ensure they have sufficient bar staff for our meet & greet group. Last minute walk-ins are encouraged. 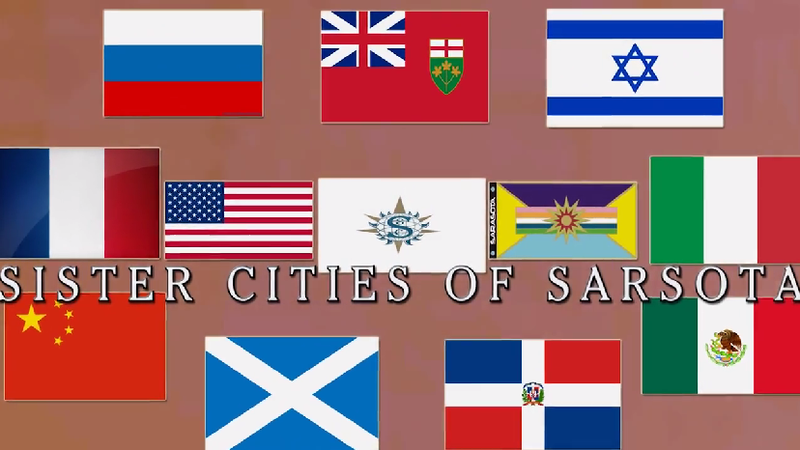 The Sister City International Conference is being held in San Antonio, Texas. Great conference, with attendees from all over the world. Tom Halbert, Gayle Maxey, Shirley Gossett, Ray Gossett, Beth Ruyle Hullinger, and Craig Hullinger attneded from Sarasota Sister Cities. Gayle Maxey and Tom Halbert at the SSI Conference. The Riverwalk in San Antonio is one of the great urban spaces of the world. According to Wikipedia it was nearly paved over and replaced by a storm sewer. This plan was blocked. "In San Antonio native and architect Robert Hugman submitted his plans for what would become the River Walk. The leadership of former mayor Jack White was instrumental in passage of a bond issue that raised funds to empower the 1938 “San Antonio River Beautification Project”. The plan was controversial and took a long time to implement. Today it is a very special and popular place and the heart of San Antonio. The Conference theme is "The Power of Exchange - Creating Sustainable Cities and Sustainable Relationships". 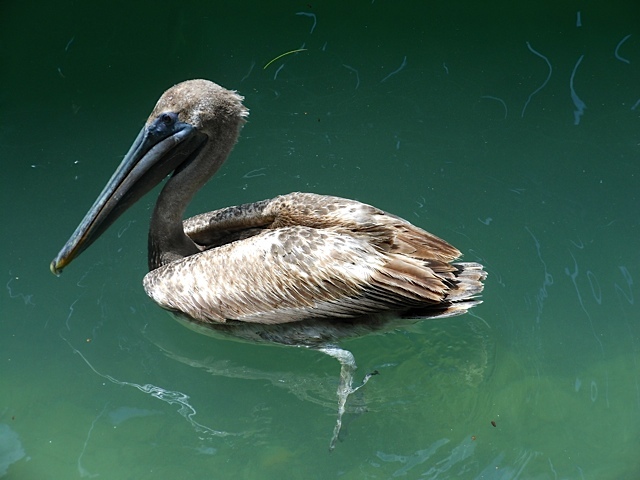 The San Antonio River Walk is a great example of sustainable development. Sister City International CEO Mary Kane Tweeting after advising conference attendees to learn social media, including Twitter. Practicing what she preaches. 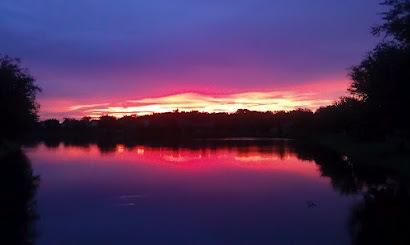 Click for a Video of the River Walk. We are pleased to invite you to meet our visitor from Mexico, Professor Veronico Xixitla. 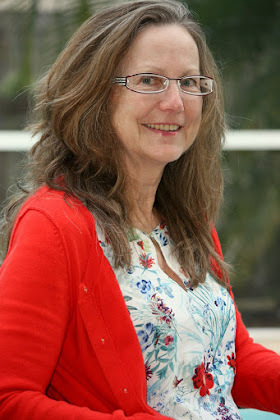 Prof Xiitla is the Director for the Dept of Indigenous Languages and Culture in Cuautla, Mexico. 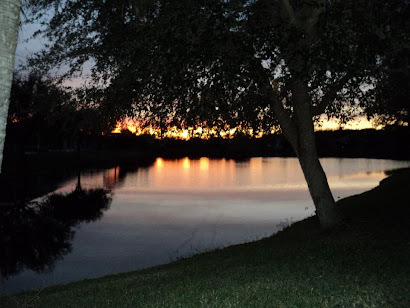 He has already given several local presentations to the Sarasota Community of some teaching of the nahuatl language (original aztec dialect), as well as singing to different types of music (including the Beatles) in nahuatl. He has already been at several radio stations and local newspapers. 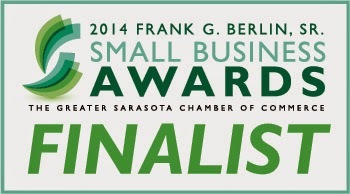 Friday, July 19 @ 7 p.m. at the Bari Brooks Center, YMCA Berlin Branch. Feel free to invite friends and forward to your contacts for a most unique experience of the Aztec cultures. John Adam Romanes, the former Chairman, Managing Director and Proprietor of A Romanes and Son Ltd., Dunfermline Press, died peacefully on July 5, 2013 at Tidewell Hospice.Jack, who resided in Longboat Key, had suffered a heart attack nine days before he was admitted to Tidewell. He is survived by his loving and caring wife Maggie, his son, Iain, and his daughter Carol and their respective spouses Christine and Kevin. All of whom were with him up until his passing. He is also survived by his grandchildren Victoria and Donald and his great grand child Angus. There will be no funeral ceremony.This was at his specific request.The family wishes to thank those at Blake Medical Center and Tidewell Hospice for their attention and care, to which, any who wish, should make a donation. 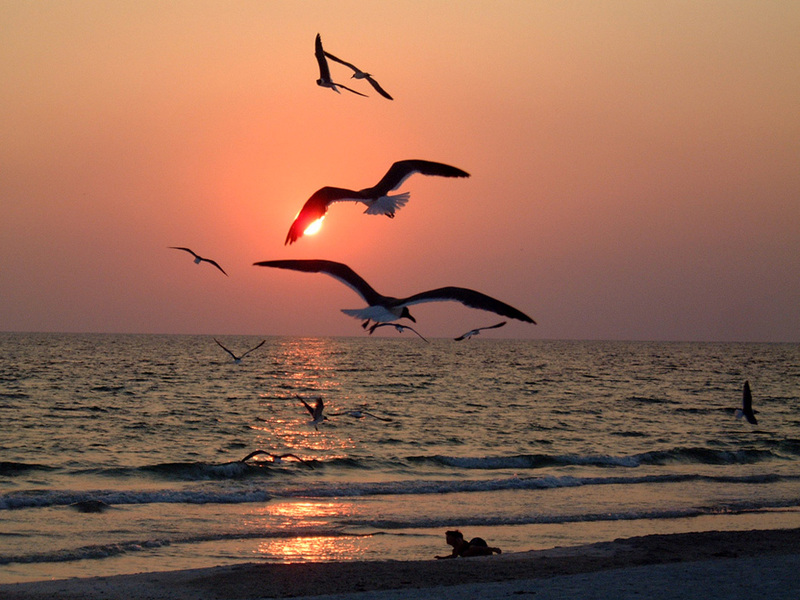 open invitation to visit us in Sarasota. This photo is at the Vladimir train station. We will be adding more photos and text as our delegation has time to add them to the blog. Don Osborne was indeed a special American Scot, proud of his Scottish heritage and always eager to assist in Scottish events and relationships whenever called upon by his fellow Scots, in a city, Sarasota, Florida, which was first settled by 65 “heat-seeking” Scots from Glasgow, Scotland in 1865. Don was a longtime member of the Caledonian Club of Florida West and served very ably as it membership chair, enlisting 52 new members one year, which broke an old record of 47 - his happy smile and “interested in you” demeanor doing much to achieve that record, which still stands - and later became president of the club. 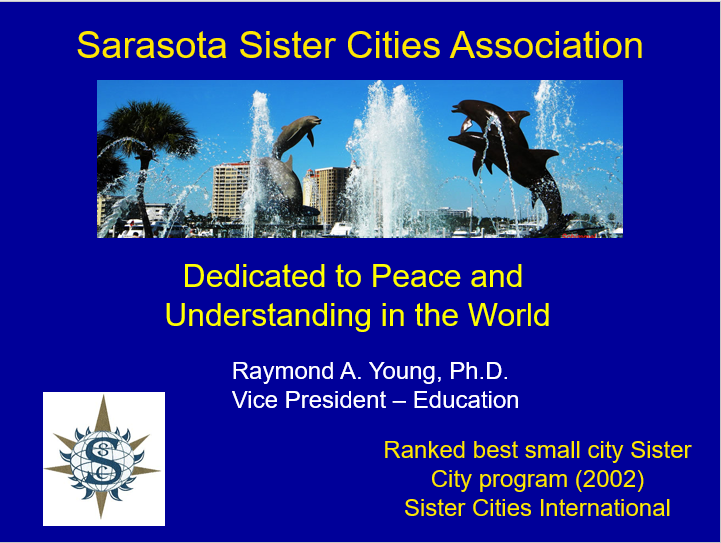 Don was also creative and, when president, upon hearing of the local group called the Sarasota Sister City Association, inquired if we had a Scottish sister city. It seemed only natural to Don that a town settled by Scots should have a Scottish sister city. 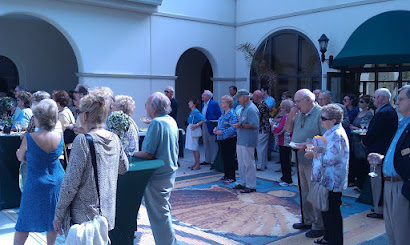 Upon learning there was no Scottish sister city, Don set about, with the sponsorship of the Caledonian Club, in developing a sister city relationship with a city in Scotland by the name of Dunfermline, already well known to Sarasota because its old opera house, disassembled to make room for a shopping center, had been “discovered by Sarasota arts enthusiasts and carefully shipped from Scotland and beautifully restored in Sarasota to become the “mainstage” of the famed Asolo Repertory Theatre. 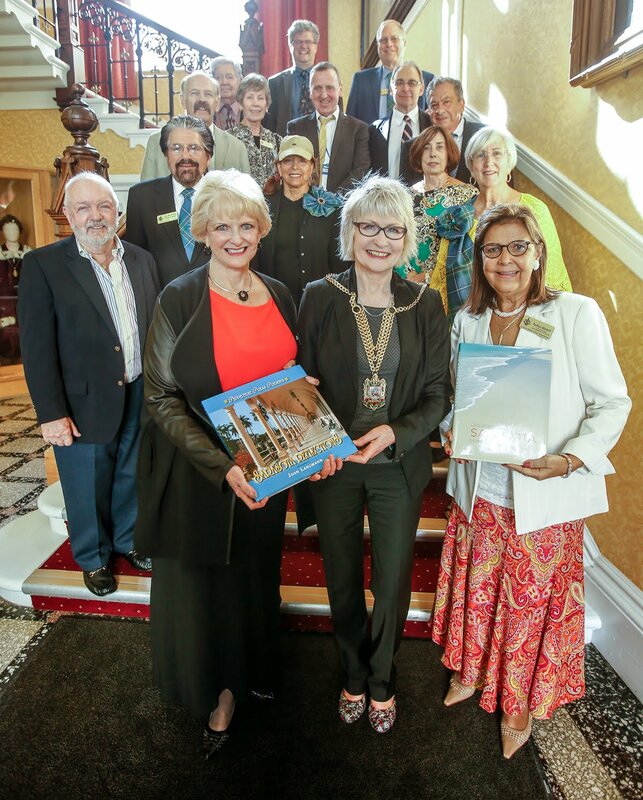 With the blessing of the Caledonian Club and the Sarasota Sister Cities Association, Don, alone, flew to Scotland, motored to Dunfermline and convinced the city fathers of that ancient capital of Scotland that it should become a sister city of Sarasota, Florida – and it did! 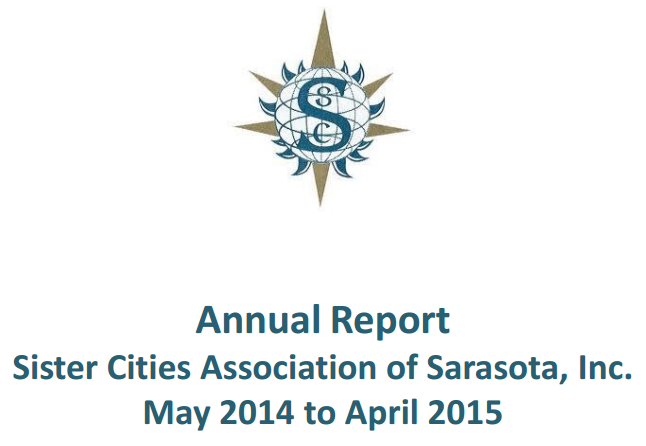 Since that time, the sister city relationship between these two cities has become the most active of Sarasota’s eight sister cities, engaging annually in citizen exchanges in the arts, business, education, sports and government. 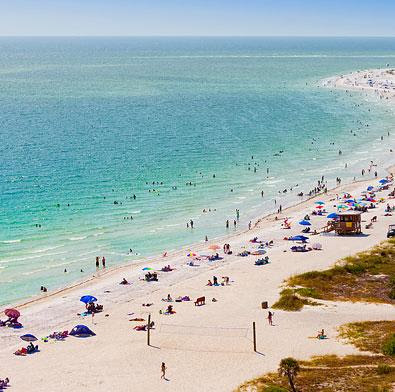 Even after moving to Montgomery, Alabama for family health considerations, Don would frequently call his many friends in Sarasota to keep up to date on Scottish activities there. 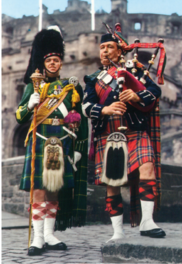 Donald Osborne was indeed a special Scot and a very special friend. Donald Osborne was born in St. Paul, MN on September 6, 1922 and died on June 5, 2013 in Montgomery, AL. He was preceded in death by his wife, Jeanne and son Roger. He was a World War II Navy veteran serving on the submarine tender USS Orion in the South Pacific. 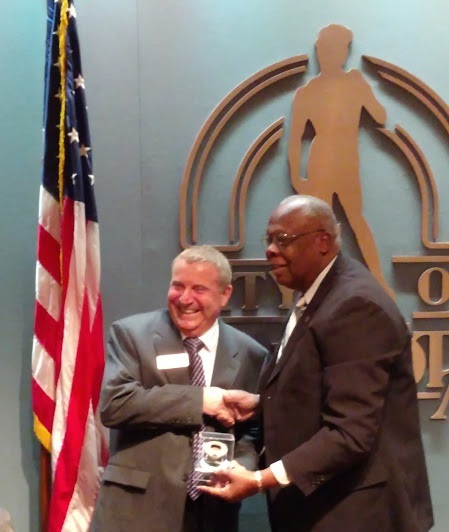 He was Executive Director of Hillcrest Family Services in Dubuque, Iowa for 22 years and retired after a 40 year career in Social Work. 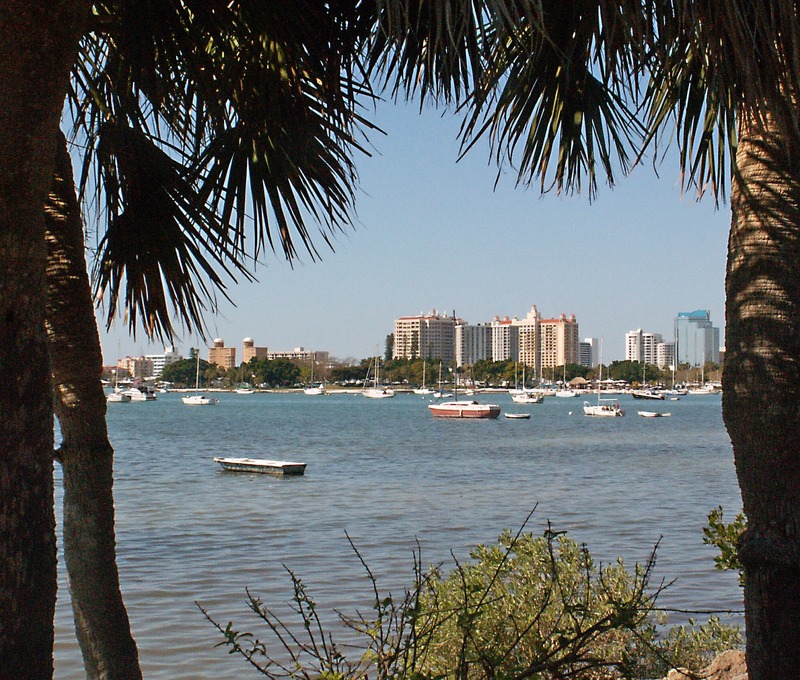 Don lived in the Sarasota area for 13 years from 1995 to 2008. 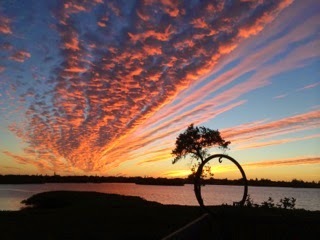 Don was active in the Lakewood Ranch Rotary Club, Mental Health Community Centers, Red Cross, Sister Cities Association and the Caledonian Club. Survivors include his wife, Karen Osborne, son, David and wife Linda, daughters, Barbara and Nancy Barker and husband Gordon, three grandchildren, and three great grandchildren. In lieu of flowers, memorials can be made to Mental Health Community Centers. The memorial service will be at 1PM, Wednesday, July 10, 2013 at the Hadley Chapel on the campus of Hillcrest Family Services in Dubuque, Iowa.